The NHL and adidas today unveiled the new ADIZERO Authentic NHL jerseys and uniforms for all 31 NHL teams that will make their on-ice debut with the 2017-18 season. Las Vegas (June 20, 2017) – The National Hockey League (NHL®) and adidas today unveiled the new ADIZERO Authentic NHL jerseys and uniforms for all 31 NHL teams that will make their on-ice debut with the 2017-18 season. On the eve of the 2017 NHL Awards and NHL Expansion Draft™, a host of athletes were in attendance in Vegas to get the first look at the new ADIZERO Authentic NHL jerseys and to celebrate the new partnership between adidas and the NHL. · Lighter – Featuring new cresting materials and construction technology, the ADIZERO Authentic NHL jersey reduces crest weight by up to 46%, while a single layer perforated numbering system reduces number weight by up to 60%, in order to deliver a new jersey that is up to 19% lighter when compared to the current NHL Jersey. · Cooler – The ADIZERO Authentic NHL jersey features adidas Clima® technology in each of the jersey fabrics to deliver breathability and enhanced performance. Combining moisture management technology and a streamlined silhouette to maximize air flow circulation with materials that are up to 133% more permeable than fabrics currently used on ice allows athletes to be cooler. · Stronger – Constructed for durability, the ADIZERO Authentic NHL jersey fabrics are up to 27% stronger in burst testing and up to 72% tougher in abrasion testing compared to the current NHL jersey. In 2015, the NHL and adidas announced a seven-year partnership in which adidas becomes the authentic outfitter of on-ice uniforms as well as an official supplier of licensed apparel and headwear for the League starting with the 2017-18 season. This new partnership allows adidas to leverage its offerings as a leading sports brand and collaborate with one of the world’s most innovative sports leagues. Throughout the 2017-18 season, adidas will connect with fans through largescale brand activations at key NHL events, including the NHL Combine™, the NHL Draft™, the Bridgestone NHL Winter Classic®, the Coors Light NHL Stadium Series™, the Stanley Cup® Playoffs and the NHL® All-Star Game. 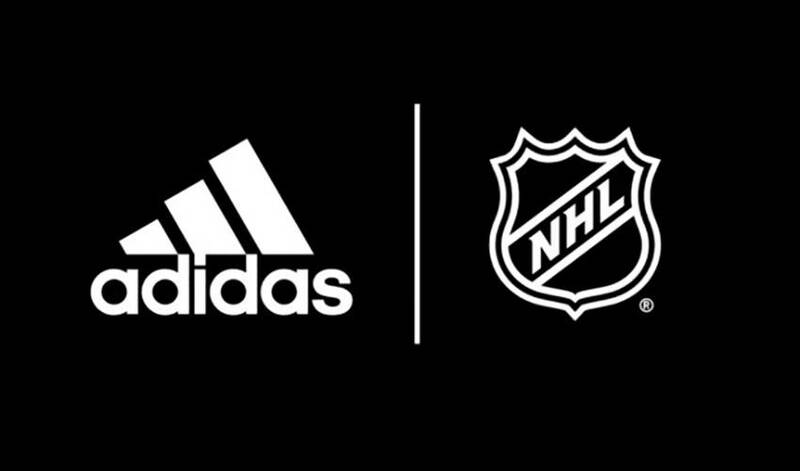 Additionally, adidas will work with the NHL on a number of grassroots initiatives. Join the conversation on Twitter and Instagram via @adidasHockey, @adidasca, @NHL and https://www.facebook.com/adidas/ #FormTheFuture.